In only a few years, many senior living organizations will be tasked with choosing new CEOs, but that doesn’t mean they’re prepared. In a recent survey, Chicago-based specialty investment bank Ziegler found that more than 70% of not-for-profit senior living CEOs are expected to retire in the next 10 years, but only 35% of not-for-profit senior living organizations have a formal, written succession plan in place for the CEO role. 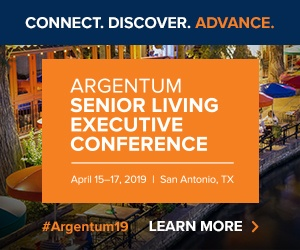 This number has remained unchanged from 2015, which could fuel concerns that many senior living leaders are dragging their feet when it comes to planning for the future. The disparity between the number of organizations that anticipate a CEO change on the horizon and the number of organizations that actually have a plan in place to ensure a smooth transition should this occur is striking, according to Lisa McCracken, director of senior living research and development at Ziegler. Jon Boba, managing principal at specialized advisory services firm Christenson Advisors, believes that this is bound to change—and that companies will be forced to change quickly. Succession planning is an area of focus for Christenson, and the firm has clients in senior housing. As it turns out, it’s not just senior housing companies that are dragging their feet with respect to succession planning. There are several practical reasons to delay the process of vetting and choosing a new CEO. “In many respects, these exercises, if they’re going to be done appropriately, take time, take resources, and can detract from the day-to-day business,” Boba explained. The senior housing organizations that have begun succession planning are more forward-thinking, he added. The bulk of Christenson Advisors’ work in the senior housing space has been with for-profit companies, but there is “very little difference with respect to the core issues at stake” when it comes to succession planning at for-profit and not-for-profit organizations. Still, it may be more common at not-for-profit companies to merge rather than select a new CEO, McCracken suggested. “We know that there are a number of affiliations in the non-profit space where one of the drivers has been CEO retirement,” McCracken said. In fact, 45% of the affiliations between not-for-profit continuing care retirement communities (CCRCs) that have taken place since 2010 have involved the retirement of a CEO, McCracken said. When it comes to CEO succession planning, there are some definite dos and don’ts, Terri Cunliffe, president and CEO of Skokie, Illinois-based nonprofit senior housing provider Covenant Retirement Communities, told SHN. Cunliffe went through the CEO succession planning process a few years ago. Additionally, her predecessor stayed with Convenant in some capacity for the first year of Cunliffe’s tenure. She believes that the transition process can be shorter. Additionally, it’s crucial to prep the entire executive leadership team for a CEO transition, Cunliffe said. “Even as an internal candidate, I made some decisions as a CEO that the executive team didn’t expect,” she explained.